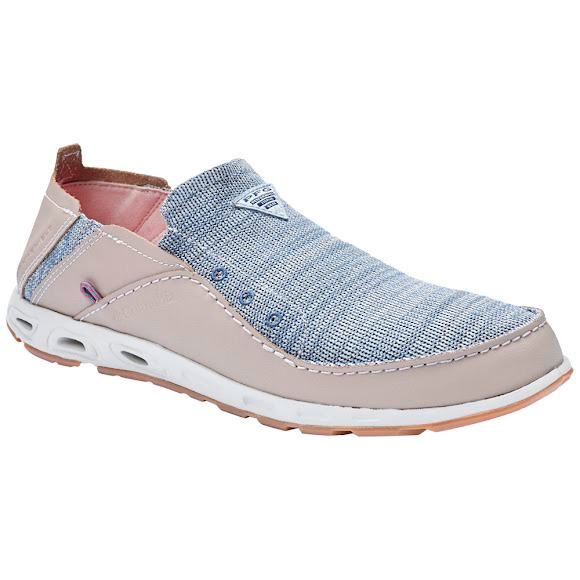 Breathable knit-and-leather uppers are uniquely treated to resist water and stains. Patented outsoles with razor siping displace water for a sure grip, especially on wet surfaces. Columbia's PFG enures quality, durable construction. Breathable knit-and-leather uppers are uniquely treated to resist water and stains. Patented outsoles with razor siping displace water for a sure grip, especially on wet surfaces. Columbia &apos;s PFG enures quality, durable construction.